Excalibur from Eva Seeds is a feminized marijuana strain that comes from crossing Diesel x Amnesia, with a 80% sativa and 20% indica genetic composition. 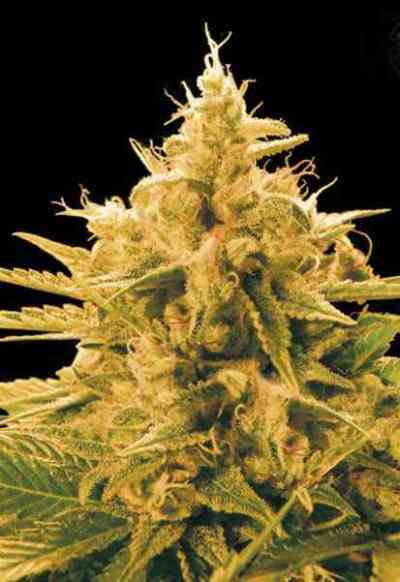 This cannabis plant will grow vigorous, well branched and with large leafs. Suitable for all growing media - either hydro, coco or soil - and both indoors and outdoors crops. It is a cannabis plant that requires high nutrient concentrations in both phases of cultivation, growth and flowering. 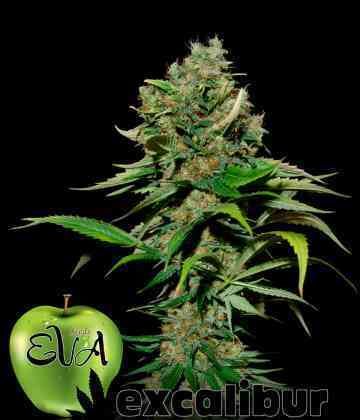 Indoors, Eva seeds recommends a height of about 30-50cm before changing photoperiod to flowering, so we will have a 90-100 cm plant when harvesting. It will be ready for harvest after 60-65 days of flowering, with a high production of buds - even more than 600 g/m2. Outdoors it can reach a height from 1.80 to 3 meters, creating compact buds mainly in its huge main cola. It will be ready for harvest in early / mid October, with a production - depending on the plant size - between 500 and 1000 gr per plant. Its organoleptic qualities stand out for containing scents and flavors of great quality with a sweet and pleasant fresh taste, a balanced mix of fruity and citrus hints. THC levels are high, causing a powerful and long-lasting effect on the user, initially active and electrical but more relaxed as it progresses, with a high psychoactivity at all times.